This week when we were all occupied by former Captain and his politics tragedy, here the news of Younis Khan came and made the nation forget about PTI’s defeat. 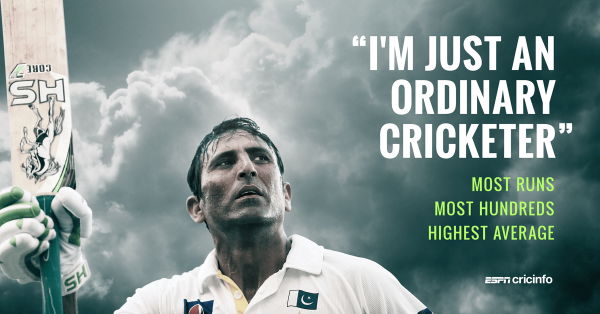 Younis Khan surpassed Javed Miandad as Pakistan’s highest run-getter in Test cricket, bringing up the landmark with a huge six off Moeen Ali in the first Test against England on Tuesday. The 37-year-old needed just 19 more runs to pass Miandad’s tally of 8,832 runs scored in 124 matches during an illustrious career which stretched from 1976 to 1993. Younis was on 8,814 runs in 101 Tests, with a Pakistan record of 30 centuries, before the match started and said he wasn't feeling nervous at the prospect of overtaking the legendary Miandad whose aggregate had stood for 22 years as Inzamam-ul-Haq fell two runs short of equaling the tally in his last Test, against South Africa in 2007. “Records aside, I want to bat for my country and the best identity for me is not records. I want to be recognized as a batsman who always played for his country,” Younis had said before the match. Like Miandad, Younis hit a hundred on debut which came against Sri Lanka at Rawalpindi in 2000. The ordinary batsman gave many other ordinary batsmen the dream to beat the legend’s records. He has been the most revered players in Pakistani team and always remained out of spotlight. Sachin tendulkar is on first rank in the highest run scorer but we can wish luck to Younis to see his name on top or even in top 5 highest scorers.